This notebook is one of the heaviest and largest on the market. With an impressive 17.3-inch LED-backlit widescreen in HD and weighing 7.9 lbs for all its computing muscle and features, the Asus N76V can be said to be a literal desktop PC that you can lug around on a backpack. And that’s no small backpack, but one that can be a real challenge when carrying for hours. If you are in the market for a portable version of your desktop, the Asus N76VZ is one powerful option in the $1,000 to $1,400 price range. However, we’ve found the cheapest deal on the market. Seasoned PC gamers know how much better games look on a large screen. The larger it is the better for many of the spectacular graphics from the most sophisticated RPG and FPS games on the market. But large screens need to be backed by a powerful CPU and GPU that can run those games seamlessly. For a portable computer that offers one of the largest screens, the Asus N76V has both the muscle and the screen real estate to play Diablo III at 92fps, Dirt Slowdown at 44fps and Batman: Arkham at 42 fps set at full HD resolution. However, while games like Anno 2070 and Metro 2033 are playable, they already border on the notebook’s limits that can tax performance at their high settings. As a multimedia notebook, the Asus N76V has few peers. Gorgeous images on the screen have one of the brightest and most vivid colors for a notebook that can be viewed a full 150-degrees from side to side without loss in detail or color anomalies. This makes it stand out as a highly capable multimedia player for watching those HD movies with the family or friends around. The notebook is powered by the Intel Core i7 3610QM running at 2.3 GHz with Turbo Boost that can reach a clockspeed of 3.3 GHz. It also comes with a middle-of-the-road GeForce GT 650M graphics engine that delivers the superb polygonal rendering magic on a full HD (1920 x 1080) screen that makes Battlefield 3 playable even at its high graphics setting. Intel’s 3rd generation Core i7 can flex its muscle at cooler temperatures as it uses less power compared with other equally powerful processors. This means longer gameplay on a single battery charge. The GeForce GPU has its own 2 GB DDR3 video memory on a 128 bit memory bandwidth that defines what makes an excellent gaming notebook. There’s ample RAM on the Asus N76V maxed out at 8GB and comes with a standard 1TB running at 7,200 rpm. It is bundled with a 64-bit Windows 7 Home Premium edition. Its data connectivity is supported with wireless Wi-Fi and Bluetooth 4.0. Several ports line the sides and back which include an HDMI port, four USB ports and a 3-in-1 card reader. There’s also built-in microphone and a webcam on top of the screen for video chats. Apart from its weight, about the only caveat in using the Asus N76V is the fear that if it conks out, you won’t get much from the brand’s aftersales customer support. While it comes with a two-year warrantee on hardware (inclusive of a one-year accidental damage protection), there’s no phone of chat line other than the more common e mail support to get in touch with the company for any problem or concern. 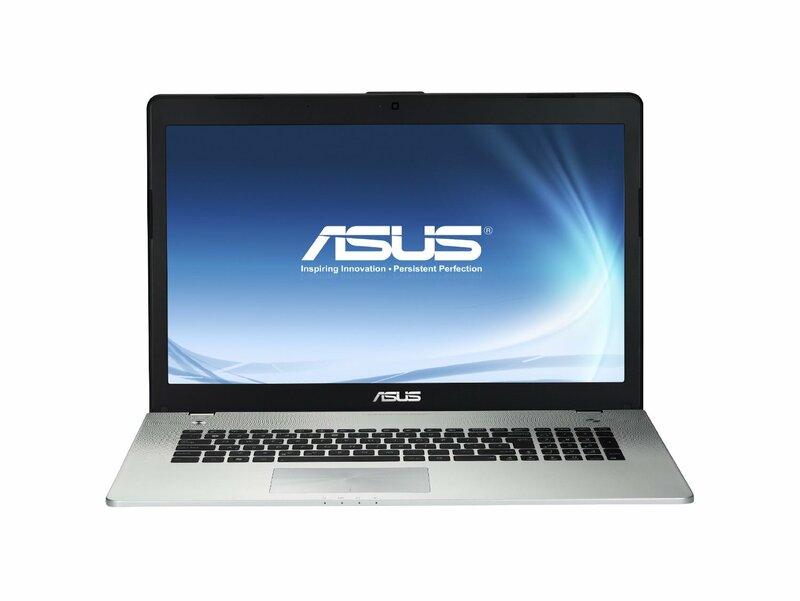 The Asus N76VZ notebook has all the features that can wean away a PC gamer from his desktop for good and not miss it one bit. For its price, you get superb value for a notebook that offers both multimedia and gaming features few peers in its price range can match. The weight may discourage those with plans to be on the road lugging it most of the time; but such a tradeoff can be a blessing for people who may want to lose weight on the side. Get it now at the cheapest price.